1. 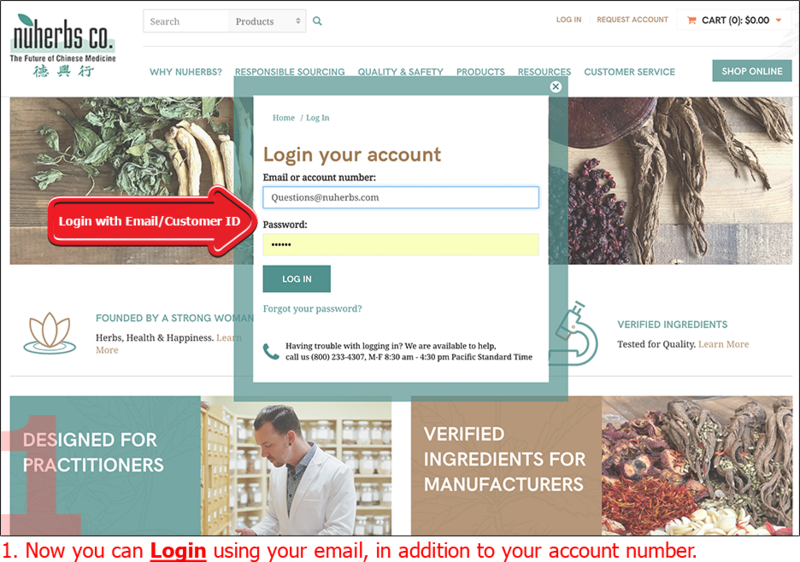 Now you can Login using your email address, in addition to your account number. 2. 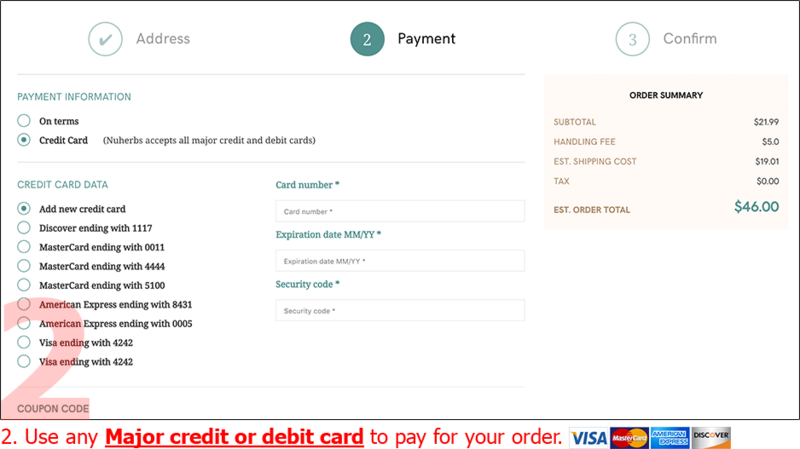 Use any Major credit or debit card to pay for your order. 3. Our website is SSL secured. 4. 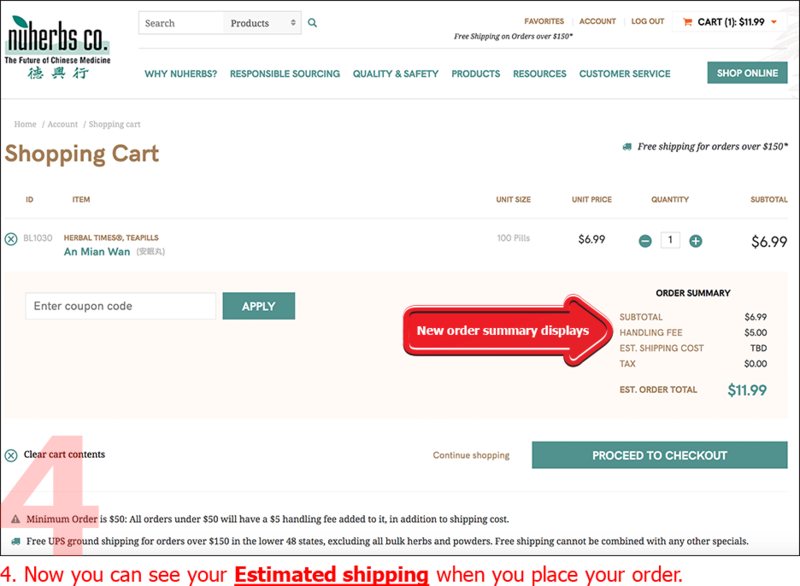 Now you can see your Estimated shipping cost when you place your order. 5. 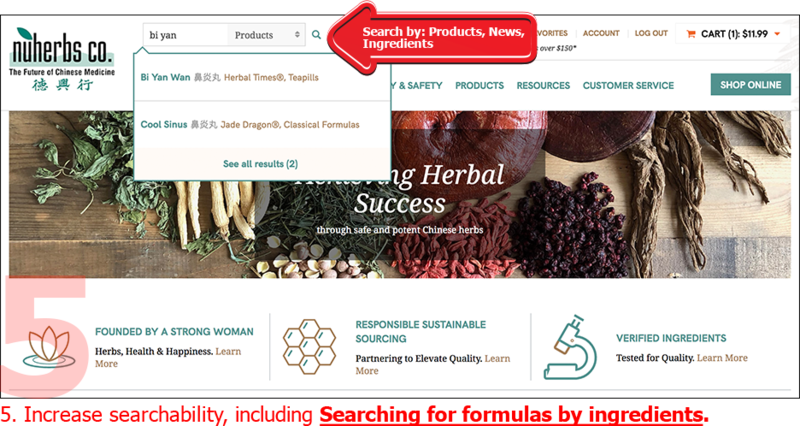 Increased search ablity, including Searching for formulas by ingredients. 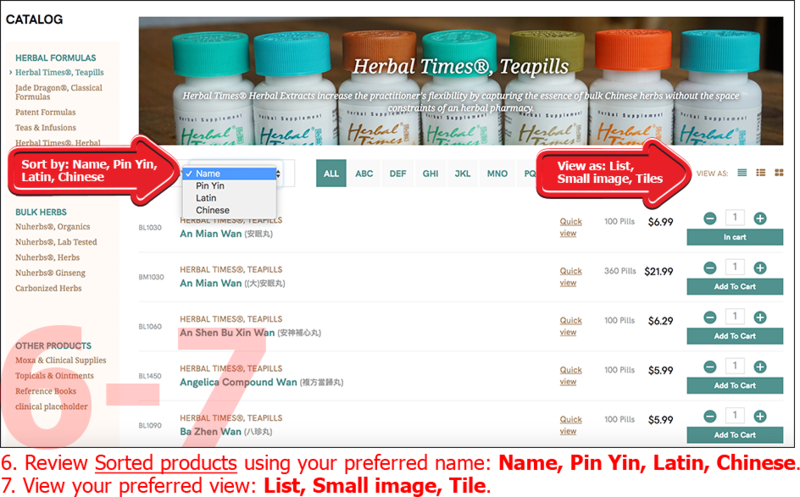 6. Review Sorted products using your preferred name: Name, Pin Yin, Latin, Chinese. 7. 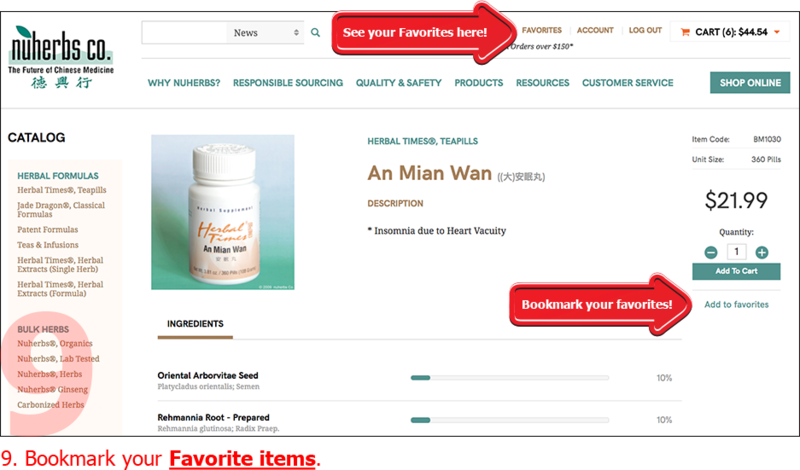 Viewing options expanded to include: List, Small image, Tile. 8. 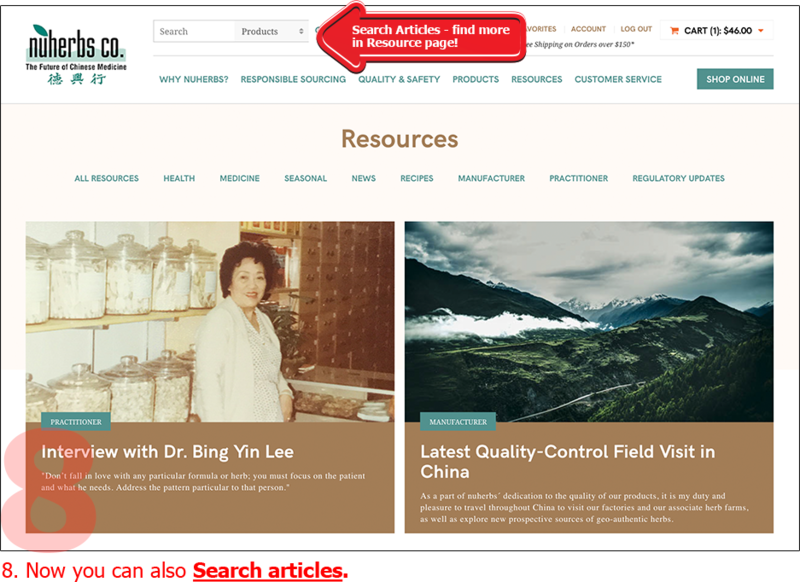 Now you can also Search articles. 9. Bookmark your Favorite items. 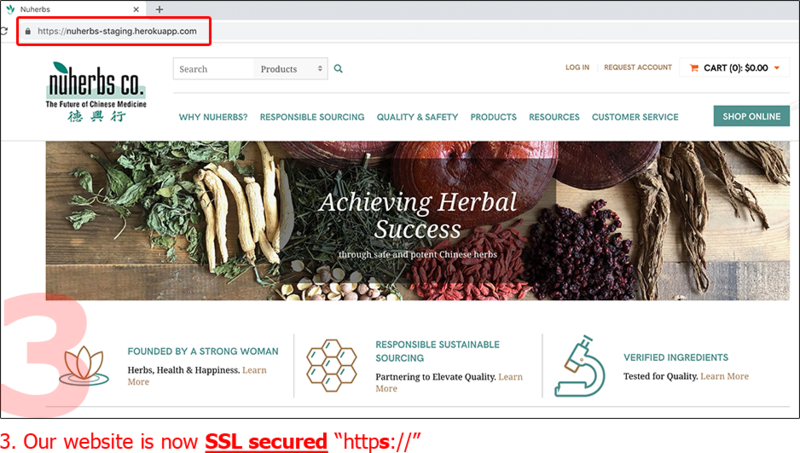 Try out Nuherbs® New Website and give us your feedback by taking a Quick Survey for a free gift.